The world's biggest automaker will disclose its plans for fuel-cell vehicles in a news conference scheduled to take place alongside CES in Las Vegas on Jan. 6. Toyota's fuel-cell concept vehicle, called the FCV, will also be on show at the event. The prototype FCV uses a fuel cell that converts hydrogen to electricity. 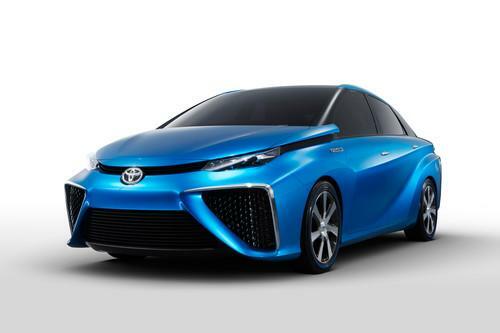 Unveiled first at this year's Tokyo Motor Show, the FCV is the kind of car Toyota hopes to put on the market in 2015. The company is aiming the produce a car with a range of at least 500 kilometers (311 miles) and a refueling time of about three minutes -- close to the amount of time it takes to refuel a gasoline vehicle. At this year's Ceatec show in Tokyo, Aquafairy, a Japanese start-up, demonstrated a hydrogen fuel cell that it said could be on the market in 2014. The company showed several prototypes and said it would succeed where others have failed because of its reliance on hydrogen rather than methanol.